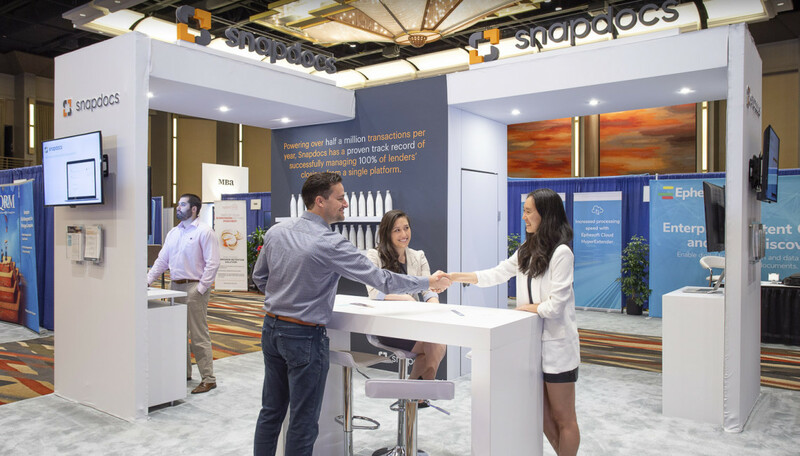 Snapdocs partnered with Nimlok Chicago to create a unique but modern trade show exhibit for its upcoming conference. Limited to a 15x20 space, the brand needed to utilize the space efficiently while also maintaining an open, welcoming feel. 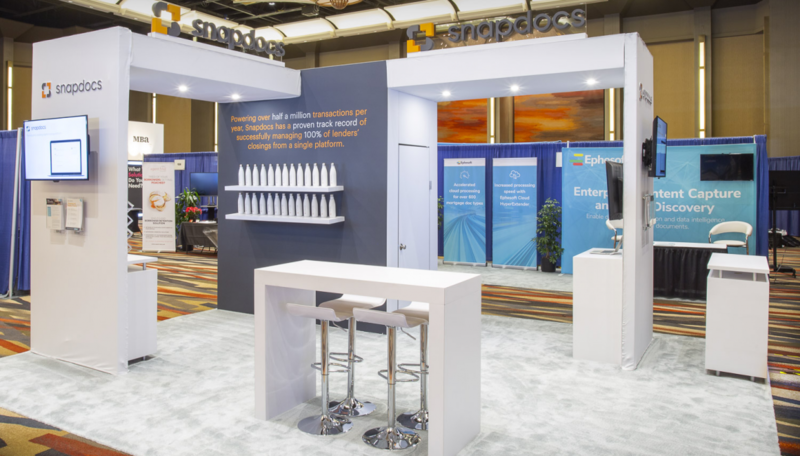 Nimlok Chicago designed a trade show display that included crisp, clean lines and a predominantly white color palette to maintain a modern aesthetic. Archways were incorporated into the design to add depth and counteract the appearance of limited space. The design also used strong graphic messaging throughout the space, breaking it up every so often and replacing it with multimedia displays to further engage and educate guests. 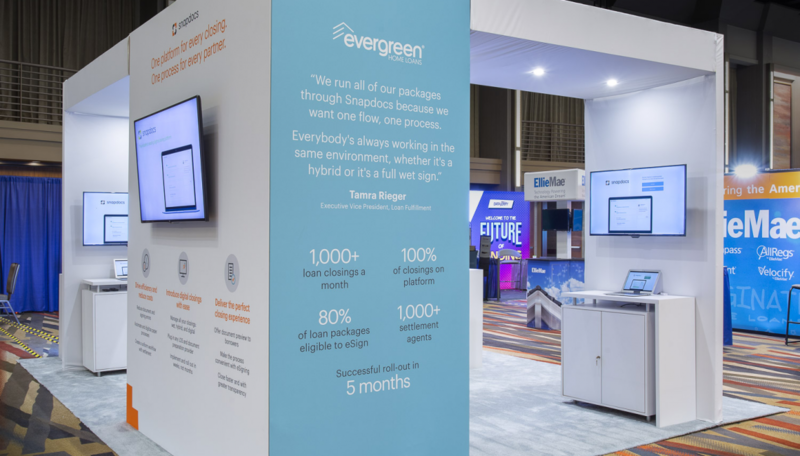 The exhibit even utilized the back for a vibrant “pop” of color with informational messaging and multimedia to further enforce the Snapdocs brand.